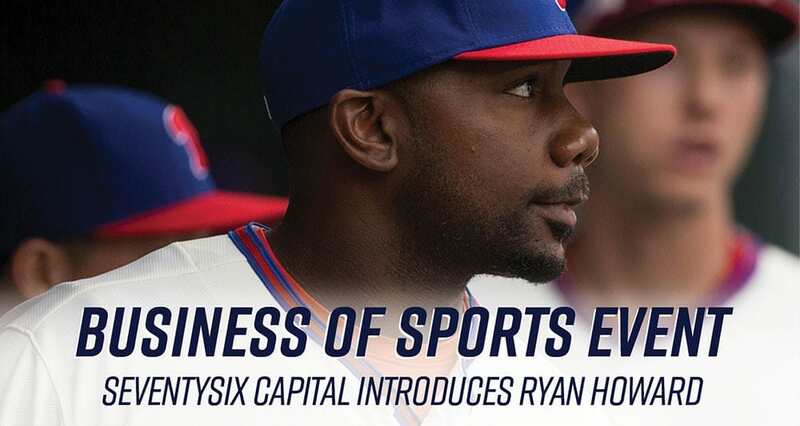 This week, Pango Financial President Candice Caruso attended the Business of Sports Event hosted by Seventy Six Capital. 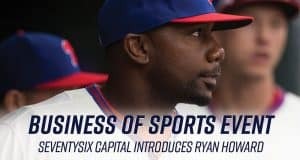 Former Philadelphia Phillies star Ryan Howard is a partner in the venture capital firm, which specializes in consumer facing technology companies in the retail, sports and wellness industries. Their active portfolio companies include Indiegogo, Reverb Nation and Whistle Sports. The Business of Sports Event featured Howard and his experiences working at the intersection of sports, branding and tech. The sold-out event also featured SeventySix Capital managing partner Wayne Kimmel and was moderated by Sports Illustrated’s Andrew Brandt. Howard discussed the changing role of professional athletes as more and more begin to envision themselves as entrepreneurs int he changing digital media landscape. 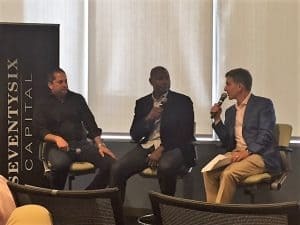 The event attracted a wide variety of Philadelphia business leaders and entrepreneurs from tech to media to investing. Pango Financial is proud to be part of such an innovative, entrepreneurial community located right in our backyard in Philadelphia!